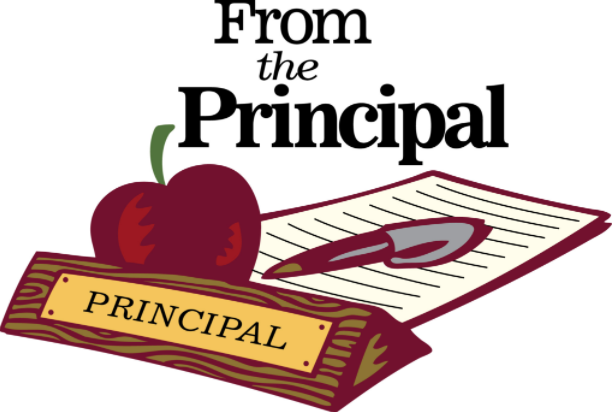 Click on the link below to access the April issue of the Principal's Newsletter. VACATION School vacation is Monday, April 15 through Friday, April 19. School resumes on Monday, April 22. FOUND Girls, Navy blue jacket. Retainer in a blue container. Book, We Have Always Lived in the Castle. Please go to the Library to claim. PROJECT GRAD MTG CHANGE The April meeting for Project Grad will be held Tuesday, April 23, at 7:00 p.m. in the Chorus Room. Please mark the change on your calendars. THE ED BEMIS SCHOLARSHIP The Burlington Discover Jazz Festival annually awards $2,000 to a high school senior who will be majoring or minoring in music in college. The scholarship celebrates the memory of Ed Bemis by helping students who, like Ed, exhibit a love, respect, and curiosity for jazz. Applications for the 2019 award are due via mail by Thursday, April 25. Click here for the application form and submission guidelines. FRANCE TRIP MEETING Next year's French 3 students: We will have an informational meeting Thursday, April 25 during band B to discuss the potential France trip next April break 2020. Please see or email Mme Marineau if you have any questions or if you can't make it. ATHLETICS Wednesday, April 17: Track & Field at BFA St. Albans 3:30 (bus 1:15). April 18: Varsity BB/SB @ Middlebury 4:30 (bus 1:00). April 19: V/JV Boys' Lax @ Rutland 4:00/5:45 (bus 1:00). Saturday, April 20: Varsity BB/SB @ South Burlington 11:00 am (bus 8:45 am). JV Baseball vs. South Burlington 11:00 am. ELECTIONS for 2019-2020 Class and Student Council Officers are coming up! Speeches will be held April 23 (Class of 2022), April 24 (Class of 2021), and April 25 (Class of 2020) during Advisory Bands A & B in the Auditorium. Those running for a Student Council Officer position will give a speech each day. Students with Lunch Bands A or B may attend Band C lunch. Voting will occur in the Aud immediately following speeches. Signups to run for office will be on the Aud door, and Mr. Leene's door (Room 210). A speech must be shared with Mr. Leene before Monday, April 22 at 3:05 p.m. Good luck everyone! CLASS OF 1979 SCHOLARSHIP Applicants must have a relative from Spaulding and they must be a member of the 2019 SHS graduating class who plan to further their education. You may pick up an application in the Guidance office. Deadline is a May 1 postmark date for submission. SCHOLARSHIP SHS CLASS OF 1966 The applicant must either be a child, or grandchild of a SHS graduate, and, attend SHS herself/himself. The applicant must participate in school activities and/or community activities. The applicant must intend to further his or her education. To obtain an application, contact Mike Gilbert at mgilbertvt@gmail.com. Completed applications need to be returned to Mike by May 31. PROM DRESSES Forget Me Not Flower Shop in Barre is sponsoring a prom dress drive for lower-income students. If you have dresses, shoes or accessories you would like to donate, please email them at forgetmenotflowersllc@yahoo.com. In addition, Whimsy and Next Chapter Bookstore in Barre are also accepting donations. If you are in need of a prom dress, please see one of the School Counselors for an application and explanation of the process. SENIORS Applications are available for the SHS In-House Scholarships. Go to the link on shsu61.org - For Students & Parents tab or Naviance under Document Resources. You are eligible for over 60 scholarships. Submit a hard copy of the completed application to Mrs. Cross in the Guidance office no later than 3:00 pm on April 10. Late applications will not be accepted. 3:00 pm is an absolute deadline. Don’t wait until the last minute! The Dr. Ernest Reynolds’ Scholarship, The Ronald York Memorial Scholarship, and The Dante Bogni Memorial Scholarship supplemental applications are also available, both online and in Guidance. PROM Project Graduation is sponsoring the SHS Prom on Saturday, May 25. LUNCH Chef's Choice: Baked Potato Bar with Bacon, Ham, Peppers, Broccoli and Cheese Sauce. Grill: Grilled Cheese & Curly Fries. World Fare: Mexcican Nacho Bar. Monday, April 22: Chicken Parm, Eggplant Parm, Buttered Noodles, Vegetable Ratatouille. Pulled Pork & Fries. Nacho Bar. Have a pleasant vacation. See you on Monday, April 22!